Over the last few days Ale has begun to conceive the concept of self. It’s so amazing. He is finally beginning to say his name when looking at photos. Then this week he pointed to a photo and said “Me!”. I nearly fell over. Prior to this he would say, mama, papa, would say nothing at all or laugh. 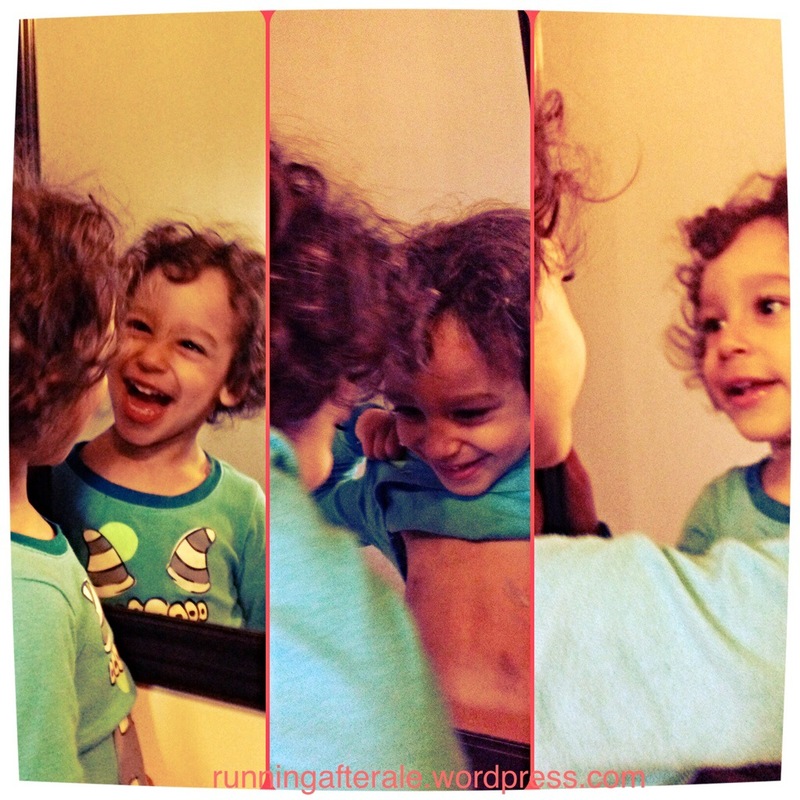 This morning he stood at the mirror in our bedroom. He said, “Me! Ale!”. Ale then pointed at his reflection and began making faces and just began laughing at himself. Watch out world. Ale is truly becoming a person to recon with! This entry was posted in Ale and tagged motherhood, parenting, toddler. Bookmark the permalink. ← I Won! I Won!